Julia has been working in the field of health, healing, and bodywork for over 20 years, as well as many years of community organizing and activism. Julia studied science, philosophy, health and is an ordained Interfaith minister and initiated ceremonialist. She is on a lifelong journey to understand the relationship between science and spirituality in a straighforward, respectful and non "woo-woo" manner . Julia seeks to demystify the process of healing and is passionate about assisting people to become empowered in their life and health. In her busy private practice, she offers consultations, bodywork sessions, and counseling. She is also teaching, speaking and writing and staying busy as an activist. Denell is an Integrative Health and Wellness Coach, Challenge Course Facilitator, self-taught Artist and Herbal-medicine Maker, and workshop facilitator. She is currently working towards her Masters in Integrative Health Studies at California Institute of Integral Studies in San Francisco, and certification as a Nature and Forest Therapy Guide with the Association of Nature and Forest Therapy Guides and Programs. Her current research focuses on the healing powers of Nature, community connection, traditional medicines, and ancestral healing. 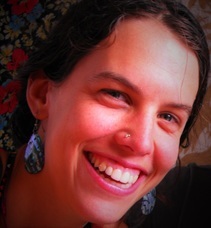 Melissa is a Naturopathic doctor with a thriving private practice in Sebastopol CA. She is a graduate of Southwest College of Naturopathic Medicine, where she received her Doctorate of Naturopathic Medicine. She is also a graduate of the Academy of Intuition Medicine® where she received a Master Certificate of Intuition Medicine®. She has studied holistic medicine - including mind-body, energetic and intuitive healing - for two decades. She is certified in hypnotherapy, as well as a certified Reiki master, yoga instructor, and massage therapist. She has also studied with a myriad of medicine people from diverse tribal backgrounds. More Info..
Marsha is an educational strategist, leadership and personal development coach and consultant, and lifelong student of holistic healing and spirituality. She has spent over 40 years in ministry and over 25 years in higher education. Her work in the world is to bring healing through creating alternative educational models and engaging diverse spiritual communities by facilitating workshops and retreats. Dana is a group process facilitator. She uses many methodologies and powerful questions to unearth wisdom that resides within each individual for collective meaning making. Her sweet spot is at the intersection of leadership, tapping into a groups collective wisdom, and cultivating communities of practice for the sake of healing and rebuilding. She utilizes circle practice to create spaces for healing, connection and wisdom. ​Mary K (MK) Johnson, sole operator of Corona Communications & Design, worked at Standing Rock’s largest camp, the Oceti Sakowin Camp (OSCM) as a key team member of the dedicated in-camp media crew from November through the evacuation of camps in late February. She documented the frontline and managed the web-hub to facilitate critical Camp communication of events, issues, and needs to the outside world and to share stories about the inspiring life of the in-Camp Indigenous led movement. We are so honored to have some of the best hearts/minds in our healing community supporting this work. This list is in process. Barbara Sattler RN PhD is a Professor of Nursing at UCSF and the former Director of the Environmental Health Center at the University of Maryland School of Nursing. Dr. Sattler is the principle investigator on several projects including a new "Healthy Homes Initiative" funded by the U.S. Department of Housing and Urban Development and an EPA-funded initiative with the American Nurses Association. Dr. Sattler is the PI for the EPA Hazardous Substance Research Center at John Hopkins University Department of Geography and Environmental Engineering in which the University of Maryland is a collaborator and she and staff are working with communities concerned about hazardous waste sites. Dr. Sattler is also the PI on a grant to create a graduate degree program in environmental health for nurses at the University of Maryland, the first in the country. Gary Pace MD is a board certified physician at West County Health Centers in Sebastopol. He has an extensive background in integrative medicine and caring for the under-served population. Gary has been active in the community supporting environmental social causes. Well loved and respected by many, Dr Pace brings a caring, balanced and deep knowledge of medicine. more being added, please check back! DeAnna Batdorff is the founder and director of The dhyana Center of Health Sciences in Sebastopol. She is an established and esteemed teacher of Ayurved. She is a seasoned Ayervedic Practitioner, Massage Therapist, Clinical Aromatherapist, and Nutritionist. 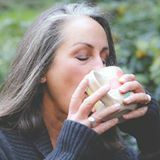 She has over 22 years of clinical experience in Therapeutic Massage, Estiology, Herbalogy, Aromatherapy, Tibetan & Ayurvedic Medicine, Childbirth Support, Auto-Immune Conditions and Whole Food Nutrition. Diana is well known and loved in the health community and students travel from all over the world to attend her classes. She recently opened up the "self-care" center as an important evolution of her work in the community, giving people a place to help them take better care of themselves. Calen Daniel DC is a groundbreaking leader in the field of Whole Nutrition, and Holistic Health. After experiencing, in depth, the benefits of a Sattvic lifestyle and being a direct disciple of the brahmin Dr. Keshaba Bhat, Dr. Daniel promotes the use of food as medicine and Yoga Therapy. His work consolidates modern science and the most ancient Vedic philosophy. Dr. Daniel works closely with his clients on ongoing goals providing cooking workshops and nutritional consultations. His work includes a wide range of functional and practical lifestyle assessments and health research for serious health problems. Elson Haas MD is a medical practitioner with nearly 40 years experience in patient care, always with in an interest in natural medicine. For the past 30 years, he has been instrumental in the development and practice of Integrated Medicine at the Preventive Medical Center of Marin (PMCM), which he founded in 1984 and where he is the Medical Director. Dr Haas has been perfecting a model of healthcare that integrates sophisticated Western diagnostics and Family Medicine with time-honored natural therapies from around the world. This multidisciplinary center offers a range of experienced practitioners and therapies. Patients receive quality cooperative care from a team committed to looking at the root causes of illness and disease and utilizing the most up to date techniques whether they are based in natural remedies, prescription drugs or state of the art relaxation, stress reduction, nutritional therapies and weight management. Pam Koppel LCSW began her health care career in 1991 working as a hospice social worker. She is the co-founder of the Integrative Medical Clinic of Santa Rosa. She was the Program Coordinator for Sutter’s Integrative Health and Healing Services for women with cancer and is the co-creator, Program Director and lead instructor for the Patient Navigation Certificate Program at Sonoma State University. Ed Lark NMT is a well respected neuromuscular and deep tissue therapist. He has a distinguished teaching history and a loyal clientele. As a therapeutic massage specialist, he works closely with medical and complimentary health care providers in team approaches to the treatment of acute and chronic pain patients. An opportunity to hear Ed is not to be missed, his teaching style is humorous and extremely informative for anyone in the bodywork world. You won't find this information in very many places. Drs Majid and Emily Zeinal DC Vibrant Life Chiropractic and Family Wellness Center started through a joint effort by Drs. Emily and Majid Zeinal after graduating from Life Chiropractic College West. They had a vision to create a wellness center in their community where people could come for true health and wellness and education. Dr. Majid specializes in gentle Chiropractic care for the whole family. He combines deep tissue work (Active Release Technique) and relaxing energy work (Bio-Geometric Integration) with full spine and extremity adjustments to create a very thorough experience. In 2009 Dr. Emily started a new business specializing in pediatrics and pregnancy care. As a wellness center Vibrant Life also offers Acupuncture, Massage and Breathwork. Christina Ness, LAc, is a California licensed and Nationally Certified acupuncturist and herbalist and the owner of Thrive Acupuncture and Wellness. She is passionate about helping people like you live an emotionally and physically balanced life filled with joy and vitality. Christina has helped thousands of patients with a variety of health issues ranging from chronic pain and sports injuries, allergies and sinusitis, to depression, anxiety, and insomnia. A background in biology, massage and Tai Chi has given Christina the unique balance of the scientific and energetic that she brings to her practice. 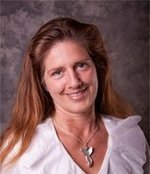 She will help you bridge the gap between western science and Chinese Medicine by educating you on how these two worlds relate and how they can work together to improve your health. Christina is passionate about using Chinese medicine to improve your health and educating you about how you can live the fullest, most vibrant life so you can continue to thrive for as long as you live.